Peter Stocken started cutting jigsaws at the age of seven, following in the footsteps of his mother Enid ... there is more about Enid here. Peter was educated at Winchester and, after an enjoyable year of not reading Chemistry at Exeter College, Oxford, he eventually obtained a degree in English Literature from Trinity College Dublin, during which time he cut jigsaws to augment his woefully inadequate student grant. In 1972, having parted company with the large multinational organisation for whom he had been working for the previous five years, his wife Dinah and he decided to make jigsaws their living. After a surprisingly satisfactory first year, Peter devised and developed his own particular form of three-dimensional puzzle shown here on this website and has been making them ever since. Such was the demand for these that he had to give up the jigsaws, but fortunately three of his children in their teens decided to look after their father's abandoned jigsaw customers. Since 1973 Peter and his family have lived in a remote farmhouse in Yorkshire, which he and Dinah converted from a roofless ruin during the mid-seventies. Dinah is a judge, but still finds time to help with the puzzles and the jigsaws. All four of their children started hand-cutting traditional wooden jigsaws at an early age. Claudia and Simon continue to do so, having developed their own distinctive style of cutting and built up their own coterie of admirers. Max, their eldest grandson, aged twelve, has already cut several jigsaws himself. The family's other abiding passion is the game of Bridge. Jack (at Yorkshire Bridge), Simon and Zebedee (at Stocken Bridge) and Claudia and Zebedee (at Stocken Bridge Breaks) all earn their living from teaching the game and organising Bridge holidays both here and abroad, whilst Dinah is a consummate player of it. 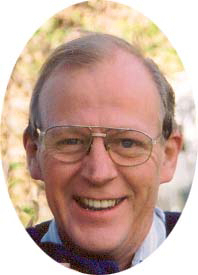 For the last two decades Peter has been heavily involved in the administration of the game and has twice been Chairman of the English Bridge Union.